Located in the center of Montgomery County, MD, Rockville is home to just over 60,000 residents. Some of the country’s largest technology and biotechnology companies in the United States are located here, making this area of Montgomery well-known for its technology corridor. As one of the largest incorporated cities in Maryland, the county seat makes up a portion of the Baltimore-Washington Metropolitan area. This charming community boasts many amenities, including a new organic farmers’ market and over 50 shops and restaurants in the town square area alone. 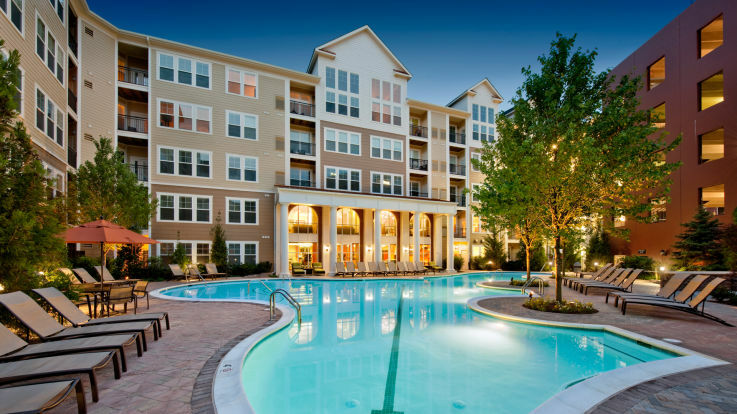 Located within a few blocks of the metro system with easy access to I-270, residents of Rockville apartments can enjoy the vibe of Rockville or head out to the bigger metropolitan areas of Baltimore or Washington, D.C., both of which are short drives away. Residents can easily access both the Washington Metro Red Line and the MARC Brunswick line from the Twinville or Rockville rail stations. Residents can also access the Amtrak intercity lines here. Home to several elementary schools and three high schools, Rockville also plays host to Montgomery College and a branch of the University of Maryland. Johns Hopkins Rockville Campus is located just outside city limits. Rockville apartments residents can enjoy a variety of sporting activities, including baseball, bowling, and golf. Rockville includes a community center and several park and recreation facilities. Additionally, apartment dwellers in Rockville can enjoy ease of access to several theaters and performing art venues. The Rockville Town Square is the central point of one of the larger communities in the county. Featuring a fountain on the square, public library, and ice rink, there is plenty to do and see here all year round. This hub of the city hosts many apartment options with quick access to community centers, the library, and many entertainment options. With a choice of downtown views or apartments located in more suburban neighborhoods, there are plenty of options for new residents hoping to make Rockville their home.